Below you can view all the homes for sale in the Sawyers Landing subdivision located in Cornelius North Carolina. 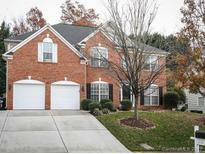 Listings in Sawyers Landing are updated daily from data we receive from the Charlotte multiple listing service. To learn more about any of these homes or to receive custom notifications when a new property is listed for sale in Sawyers Landing, give us a call at 704 604 8836. Home comes with a 30-day buyback guarantee. Terms and conditions apply. MLS#3496898. Opendoor Brokerage LLC. A community pool, clubhouse, park, 2 day slips, grill area and kayak/paddleboard storage near lake are part of the Sawyers Landing Owner's Association, Inc. Home comes with a 30-day buyback guarantee. Terms and conditions apply. MLS#3490592. Opendoor Brokerage LLC. The beautifully landscaped yard includes a paver walkway and patio with firepit, Trex dock w/ seating area. MLS#3488836. Allen Tate Lake Norman. New second floor HVAC 2017. Please view virtual tour. MLS#3483130. AREA Real Estate Associates.